If there was ever a year where the Final Four was going to be heavy with 1-seeds, this year was expected to be it. However, like in many years, most of the 1-seeds were defeated before the Final Four. But there is one remaining, the last one expected to be the lone remaining 1-seed when the tournament began—the Virginia Cavaliers. If they can survive Auburn, they will face the winner of the other Final Four game between the Texas Tech Red Raiders and Michigan State Spartans. Offense wins games but defense wins championships. It is the oldest cliché in sports but probably the one that often rings with the most truth. 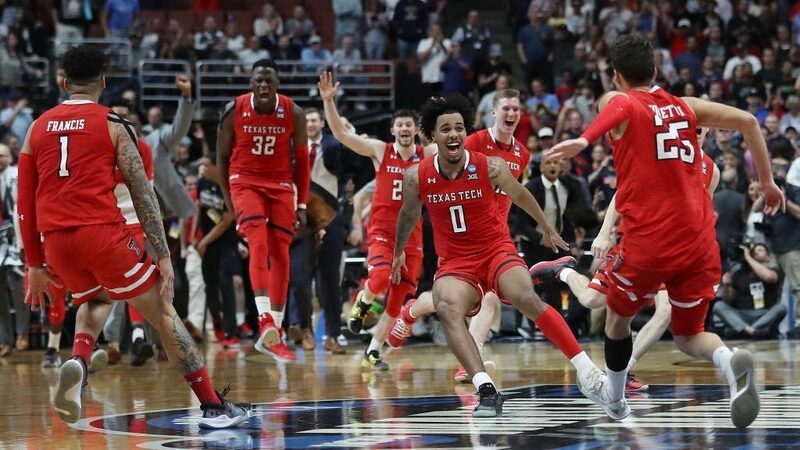 Should that be the case for the NCAA tournament this year, Red Raiders fans can start planning their celebrations. They have had one of the best defenses in the country all season and definitely have the best defense of the four remaining teams—which they have proven on their way to the Final Four. The road started with a 15-point win over Northern Kentucky in the first round, 72-57. They followed that up with a dominant performance against a good Buffalo team in the second round (78-58). While you would have thought they would be tested (and beaten) by Michigan in the Sweet 16, they dominated the Wolverines, 63-44. As proof that the win over Michigan wasn’t a fluke, they handled Gonzaga’s offensive machine in the Elite Eight, 75-69, and earned a trip to their first Final Four. If there is a problem with the Red Raiders, it is that they are a little too reliant on Jarrett Culver to get the offense going. Should he go down or should Michigan State figure out how to shut him down, the Red Raiders offense is in trouble. While Texas Tech bulldozed their way to the Final Four, the road was a little rockier for the Spartans. They got a good scare from 15-seed Bradley in the first round but survived, 76-65. They won their second-round game with ease, 70-50, over Minnesota. But it was a very sloppy turnover-filled contest. However, when they got to the Sweet 16, they seemed to get their act together. They dominated LSU, 80-63, and then did what no one thought was possible—they beat Duke, 68-67. What makes their story even more compelling is that the team lost several key players to injuries throughout the season. But each time someone went down, they found someone capable of stepping in and filling the void. So, not only does head coach Tom Izzo have an insanely talented roster, he has a deep one. They will need that depth and the talent if they are going to be able to crack the Texas Tech defense and put some points on the board. The two teams have similar yet different styles of play. They are similar in that they both are somewhat reliant on one player to lead the offense. For Michigan State, it is Cassius Winston; for Texas Tech, Jarrett Cutler. They are different in that Texas Tech is an excellent defensive team and a good offensive one. Michigan State is not excellent on either end of the court, but they are good on both ends. They have a capable defense that will make life difficult for Cutler. But they may not be able to stop him altogether. On the offensive end, Winston is good, and he has some talented role players ready to help him out. But it remains to be seen if the Spartans offense is good enough to crack Texas Tech’s defense. Michigan State has played some good basketball during their tournament run but not great basketball. They will need ’great,’ but will not get it. Take Texas Tech to win (+142) over Michigan State (-162). They will win against the spread (+3) if they don’t win straight up. As for the over/under (130.5), with the role defense is expected to take in this one, go with the under.